Autumn, a new project by LIA, is a computational celebration of the season of Autumn. 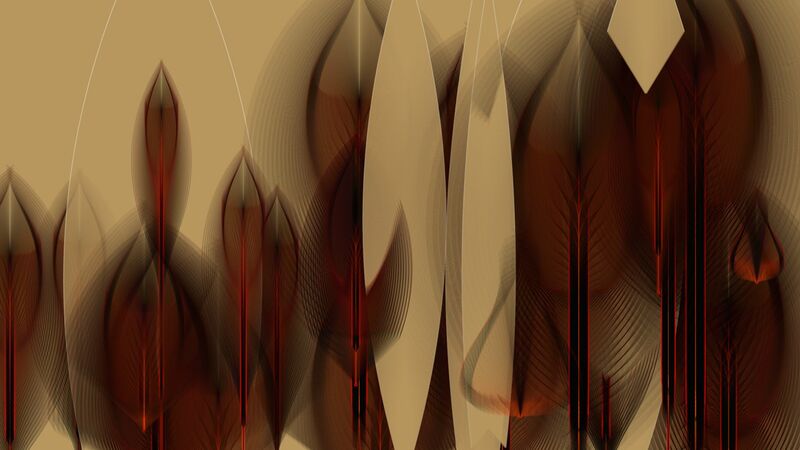 Autumnal forms, patterns, colours and themes are explored and evoked by generative algorithm which is presented as an application. LIA’s process for this project is perhaps best described as experimental programming. Drawings are a starting point - through them the artist explores the textures, structures and forms of Autumn, distilling them into a set of motifs or elements. These elements are worked into compositional visual pieces through the experimental use of algorithms - patterns, undulations, crescendos and moments of calm emerge only through exploratory arrangement of forms and code, which in turn merge into one another. Through this process LIA creates choreographies and chronologies of familiar movements, patterns and colours, evoking the autumn season through patterns and traces.